ExPO Signature Home Care is an independently owned and privately operated home care agency, proudly caring for you and those who matter the most to you – in the comfort of your private residence. We are a licensed and full-service medical assistance and home care provider in Manalapan, New Jersey. Our philosophy is based on the belief that our customers’ needs are of the utmost importance. Our entire team is committed to meeting those needs. We aim to make our clients satisfied, healthy, and happy. As a result, a high percentage of our business is from repeat clientele and referrals. We welcome the opportunity to earn your trust and will always strive to deliver outstanding personal service to each and every client. 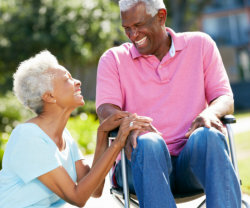 Our mission as a Home Health Care Agency in New Jersey is to improve the physical, emotional, and spiritual well-being of our clients, helping them to achieve the best quality of life by providing compassionate and effective care, while maintaining their privacy and respecting their customs and traditions. Our vision is to be the pre-eminent brand and primary choice of individuals seeking quality, affordable home care services in the tri-state area. At ExPO Signature Home Care, we realize that quality medical professionals are essential in providing the highest standard of health care. Our strategy is to invest our time and resources in enlisting the best professionals in the field to be able to provide the highest quality of in-home care service at an affordable price. That’s our commitment as a dedicated Home Health Care Agency in New Jersey. We offer a 100% satisfaction guarantee with our personnel and service. If you are not satisfied with the performance of an individual, we will provide a similarly qualified replacement within 24 hours.